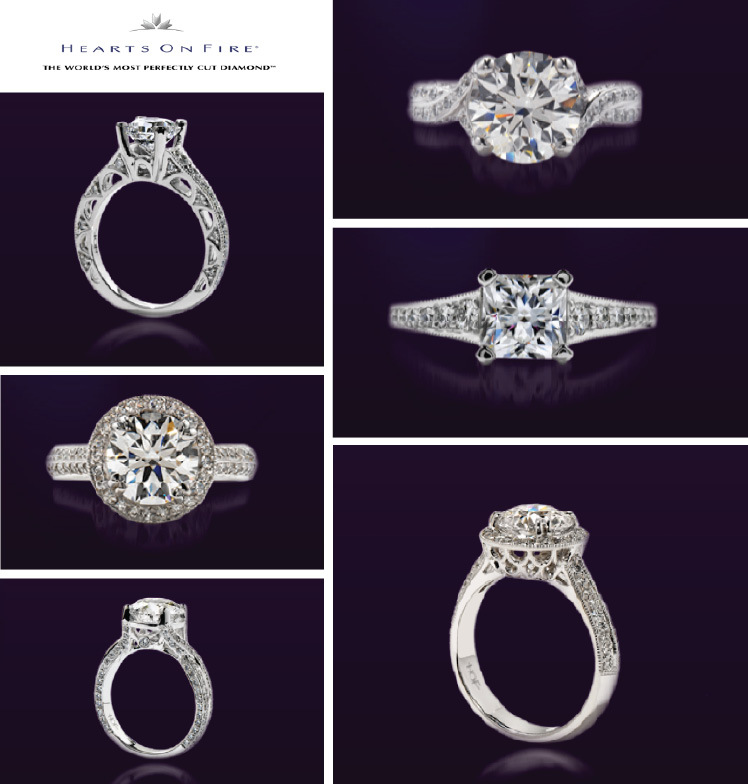 Known as “The World’s Most Perfectly Cut Diamond,” Hearts On Fire diamond engagement rings are both exquisite and intense! These splendid solitaires are crafted with the most superb diamonds and are available in platinum. The Significance Solitaire is a magnificent diamond surrounded by delicately placed diamonds in a round cut setting. The princess cut Remarkable Solitaire, also encircled by smaller diamonds will sparkle with each movement of your hand! And last, but certainly not the least, imagine sporting the Refined Solitaire! A brilliant diamond intertwined to form a flawless piece. Hearts On Fire … drop a hint! Hearts On Fire can be found locally at Pieter Andries in Southlake, Bachendorf’s in Dallas and Plano, Willis Fine Jewelry in Rockwall and Haltom’s Jewelry in Arlington.